The year in pictures: oils spills, powerboat crashes and, of course, funny animals! 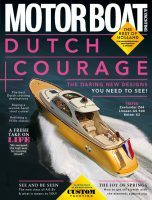 Every week for the last year we have chosen the best boating photos from around the world and what a year it has been! From oil spills in China and the Gulf of Mexico, to powerboat crashes and widespread flooding, the dramatic events of 2010 have made for some stunning pictures. As a special holiday treat we’ve chosen some of the most amazing images from the last 12 months for our end of year roundup.